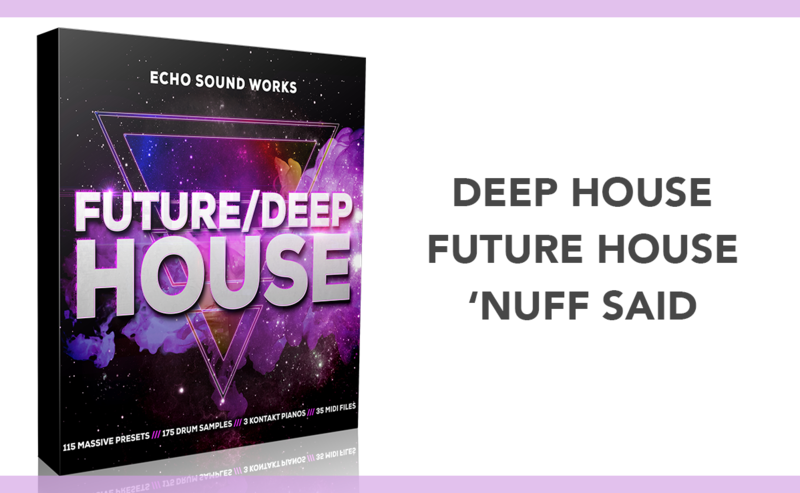 Future/Deep House V.1 is a incedibly well designed soundset for any producer who uses NI Massive looking for Future House and Deep House sounds.Future House is going to continue to be one of the hottest genres of EDM in 2016 so save yourself time learning how to create the sounds, by using any of the 115 Massive presets. Easily tweak any patch using any of the 8 assigned macros. Turn a Deep House bass into a Future House bass with one flick of a knob! We've also made some great chord sounds that can be changed from a minor chord to a major chord with the twist of a macro. If you want sounds that will push your music to new heights, this is the pack to do it. 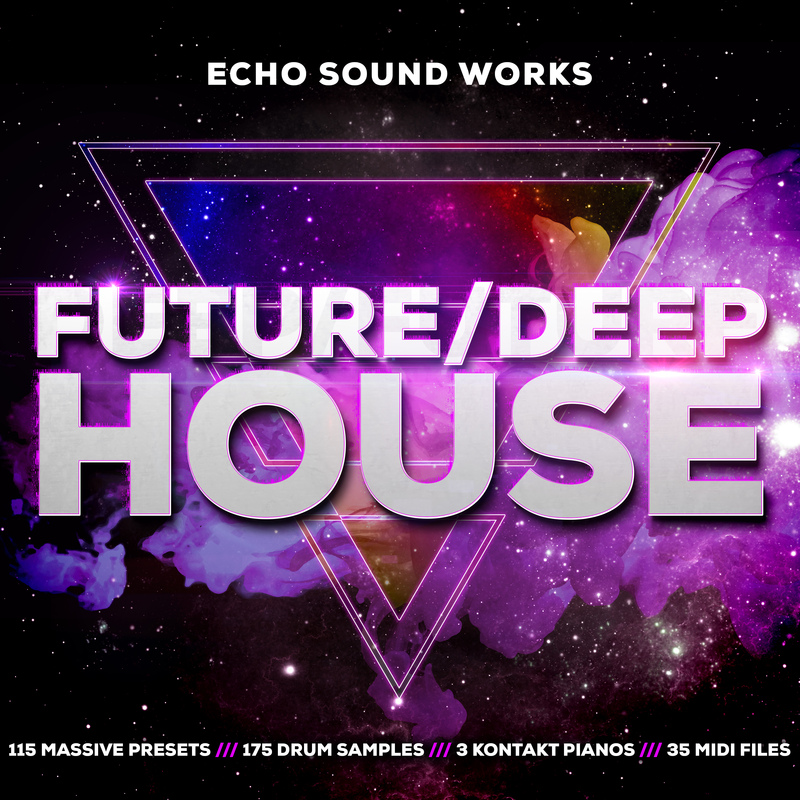 Future/Deep House also comes with some amazing, royalty free bonus items. A common theme in Future and Deep House is the use of Piano. Well we all know you can't make a piano in Massive which is why we've included 3 custom Kontakt piano patches.